Selfies, Groupies, duck faces, pouts...all words suddenly dominating our day-to-day conversations in the past couple of years. We are now a generation of instant things – instant food, instant relationships, instant social media reactions and most importantly instant photos. We just are not ready to wait for anything. 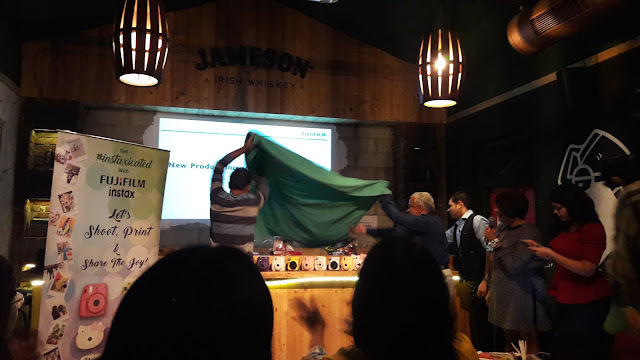 So when I came to know that FujiFilm is launching a new range of cameras, I was not sure whether to applaud them for being gutsy or wonder about the ingenuity of such an idea. But after attending the launch of this new series and some really cool products, along with an enlightening session conducted by the Fuji India team, I must admit that I am completely sold!Firstly, no one can deny the cutting edge stuff that Fuji has introduced over the last few decades in photography. Secondly, most of us would probably still remember the cameras which needed roll. There used to be a whole excitement around seeing the roll being developed and awaiting the photographer to hand over the developed pictures to us! Like I said before, none of us have the patience anymore to wait for this anymore. But let me ask you one thing – what is the favourite past time during family get togethers, even today? In ours, it definitely is reminiscing over old photographs and getting nostalgic. So even with all the digital advancements, we still do like the feeling of a physical photograph, right?That’s where Fuji is here to help us. They have come up with a fabulous range of “Instax” Cameras, which not only give us instant photographs, but the camera range is absolutely delightful & quirky – the Hello Kitty one being the most innovative and fun! It comes in various colours like purple, yellow white and black. The buttons and features are fairly basic; 'up front' is a button to extend the collapsible lens and turn on the camera. Around the lens is the brightness adjustment dial you can twist to choose the different exposure levels. On the hand grip is the camera trigger with the viewfinder above and the always on flash just beside it. Around the back is where you’ll find compartments for film and the battery on the hand grip. Yes it takes batteries, two AA ones to be precise. To take photos you simply need twist the dial to the appropriate exposure level, peer through the viewfinder and take your shot. It's as simple as that. To top it, one of the best things I loved is the variety of borders available to the film, so we have a chance to get really creative with the photographs and can personalize them to our liking! Also, the photographs apparently last about fifty odd years! The Mini 8 bundle packs and the Party box also includes bunting cards, stickers and such other really fun stuff, which can be used for scrapbooks, wall decoration etc. 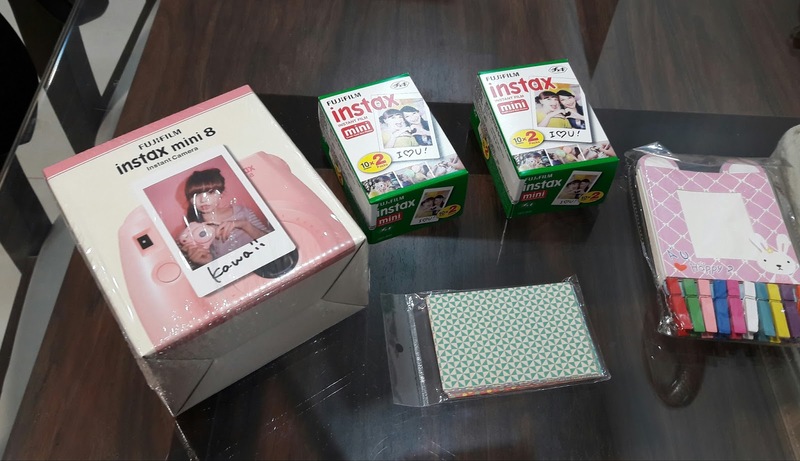 So guys, what are you waiting for...GRAB you INSTAX TODAY!! Can't wait to try this camera -so fun! thanks for sharing such a nice blog ost.